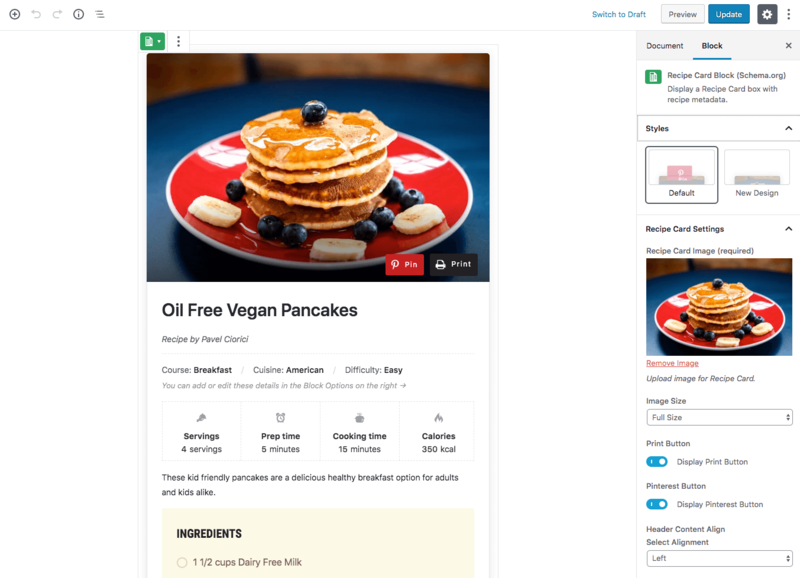 Get more visitors, better search rankings, and more social shares with Recipe Card Blocks! 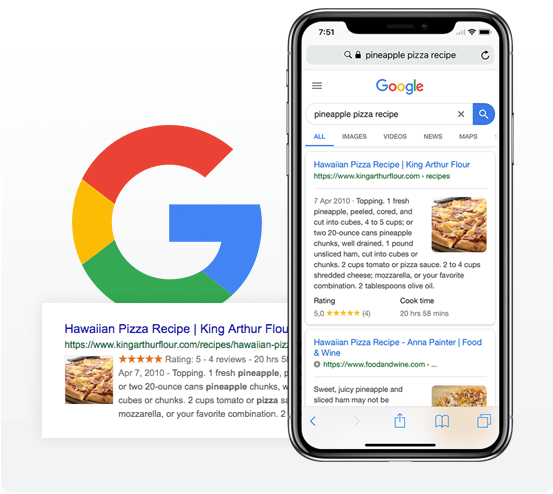 Your recipes will include Schema markup, which lets search engines and social networks display information about your recipes. 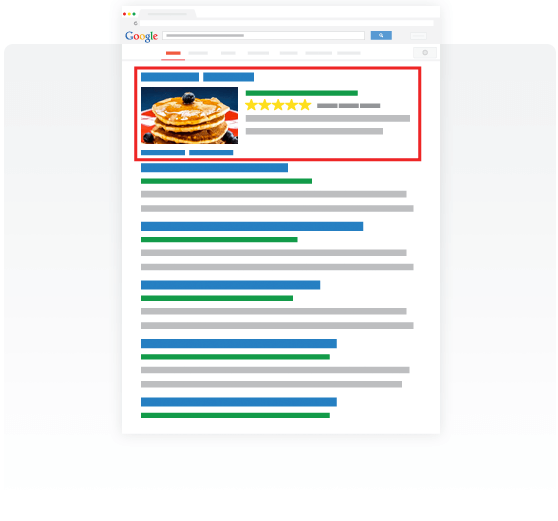 This will increase clicks and shareability, giving you an easy to grow your food blog. 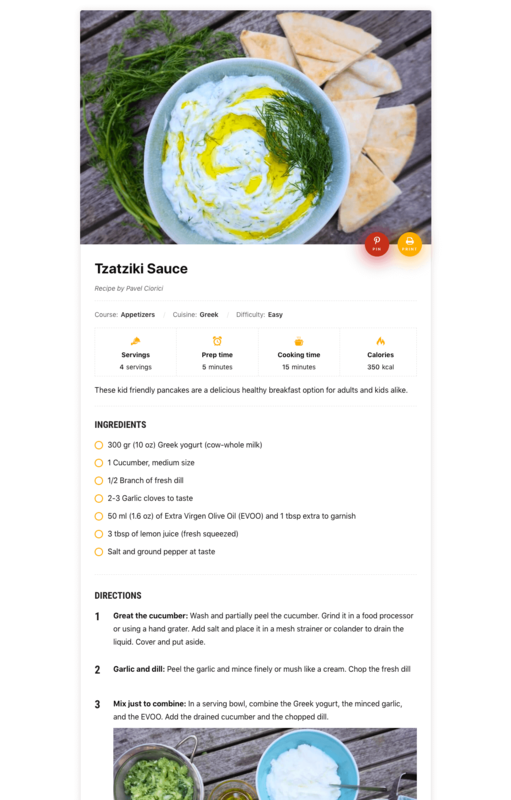 You don’t need any coding knowledge to create beautiful food blog recipes with Recipe Card Blocks! 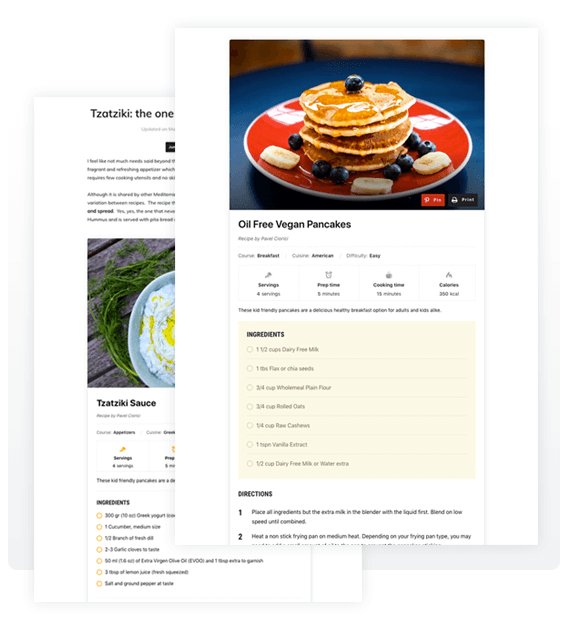 Creating your recipes is as easy as using any other block with the new Gutenberg editor in WordPress 5.0+. 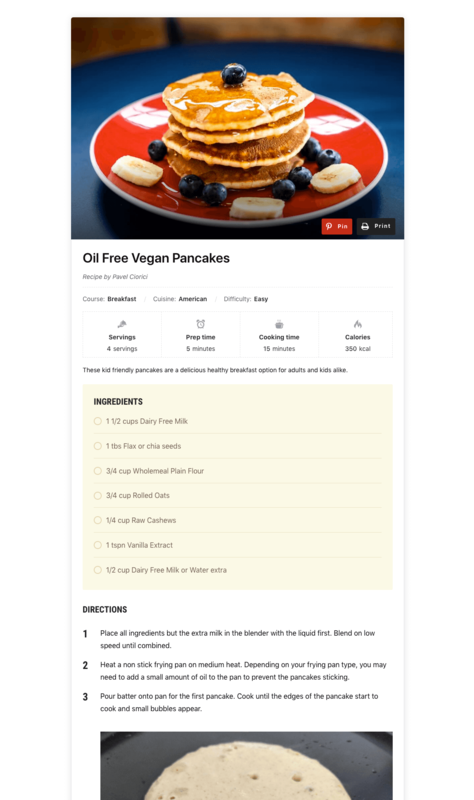 You’ll even get an instant preview of what your Recipe Cards will look like, directly in the editor. 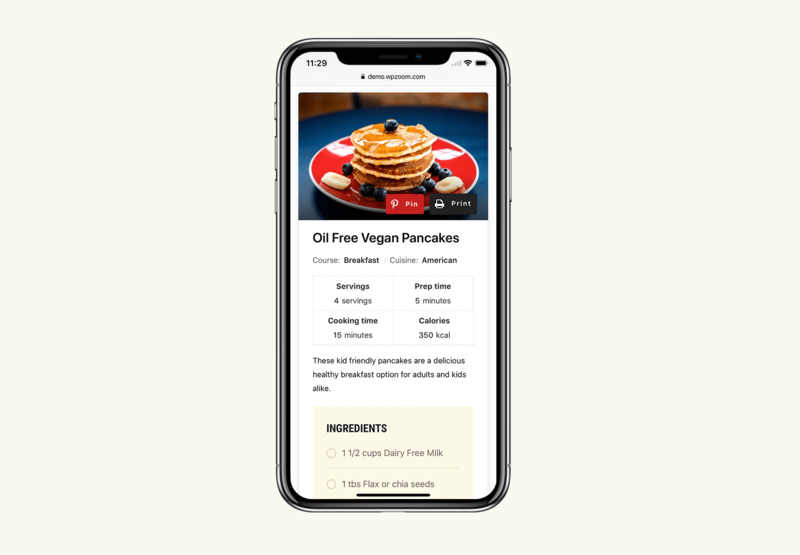 Recipe Card Blocks is built with ease of use and WordPress 5.0+ in mind: the Block lets you see exactly what your recipe will look like when published. 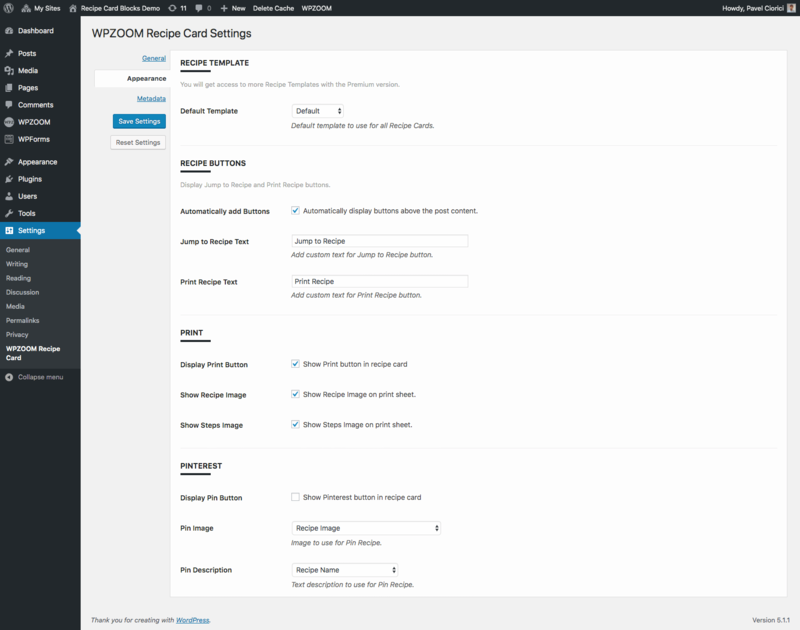 Plus, you can change all the settings straight from the WordPress editor – with a live preview so you know how it turns out. 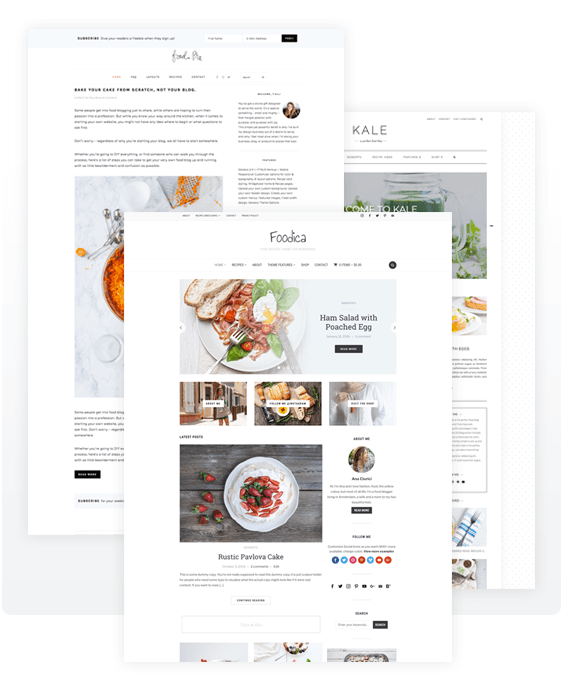 Your recipes will be displayed perfectly regardless of which WordPress theme you use. 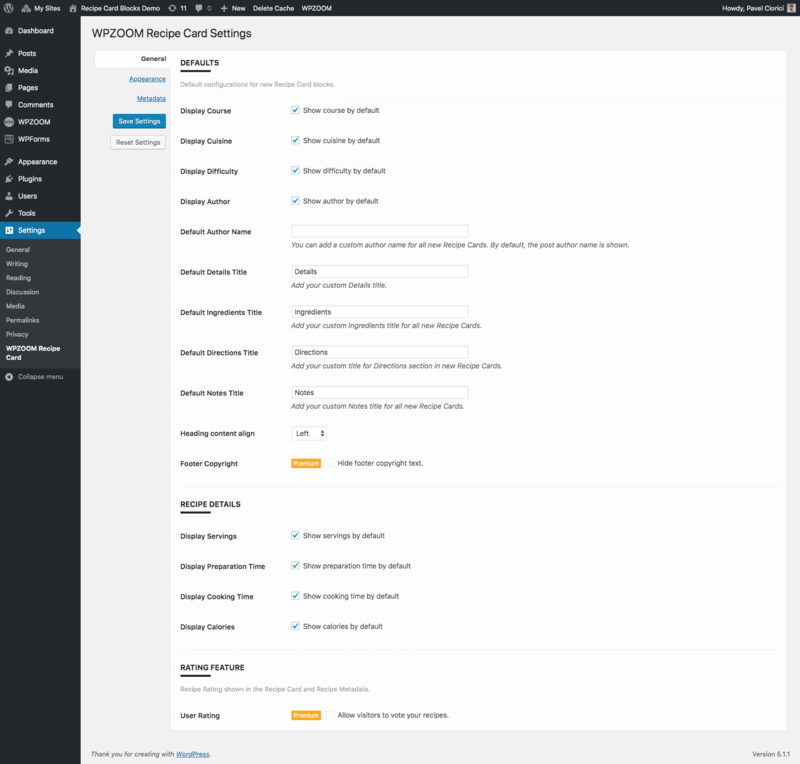 And with the PRO version, you’ll be able to customize the colors to match your current theme or brand. Need a new theme? Check out Foodica. Choose your favorite Recipe Card style! No more boring and outdated designs that can turn your readers away. 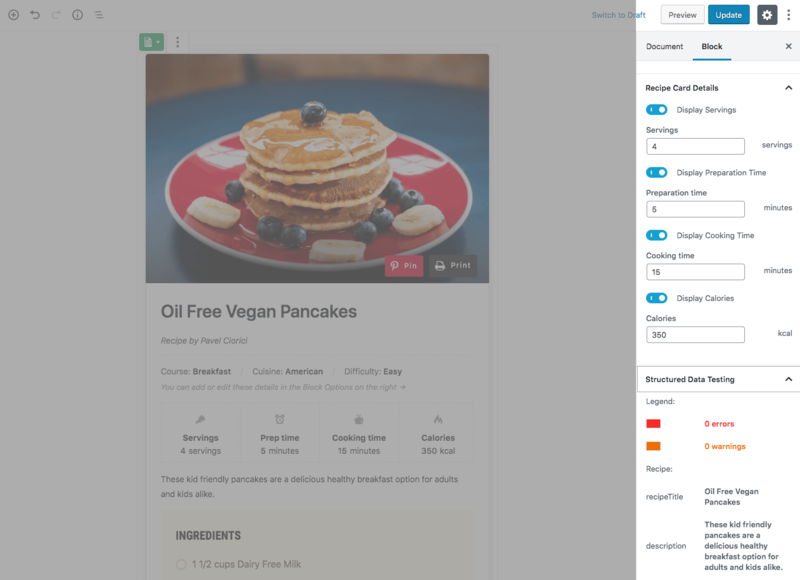 Recipe Card Blocks includes multiple modern styles, with more coming in future updates. 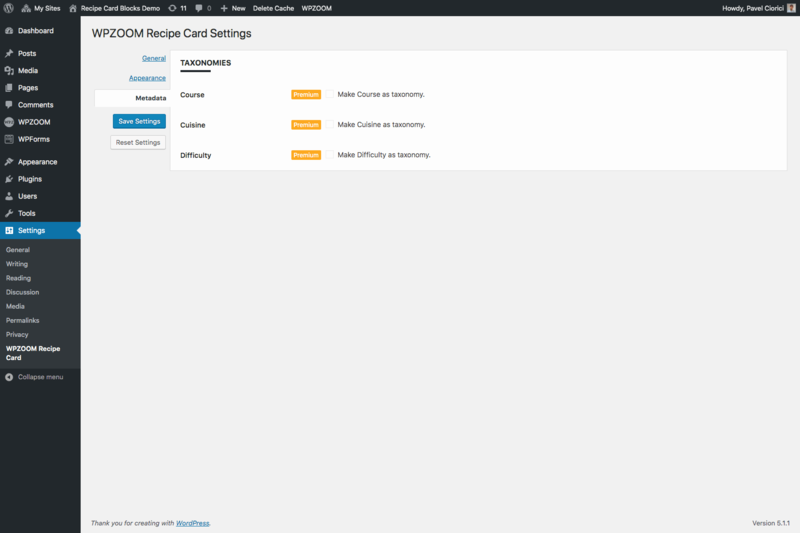 ...and many more features to come in the PRO version! 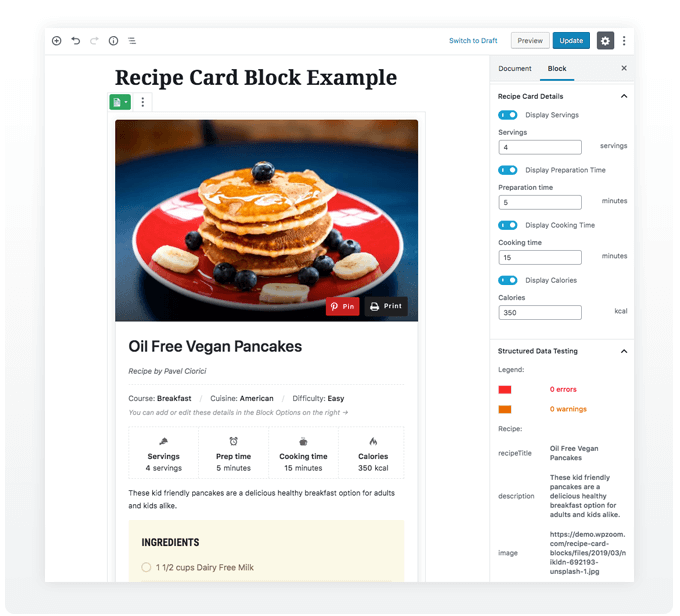 Leave your email address below, and we'll inform you when the Recipe Card Blocks PRO is released!